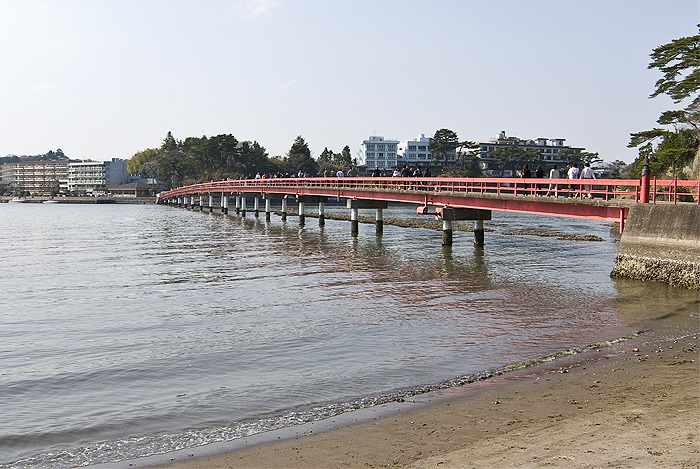 When the famous haiku poet Matsuo Basho first laid eyes on Matsushima, he is reported to have been so dazzled by the beauty of the scene that the only thing he could utter was 'Matsushima, ah, Matsushima, Matsushima. So what and where is this amazing place? 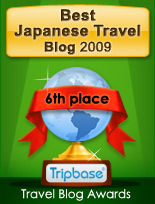 Matsushima is the name given to a group of small islands off the coast of Miyagi prefecture, and supposedly one of the top three views in all Japan. With such prestige backing it up, it goes without saying that you should prepare yourself for sharing it with the hordes. 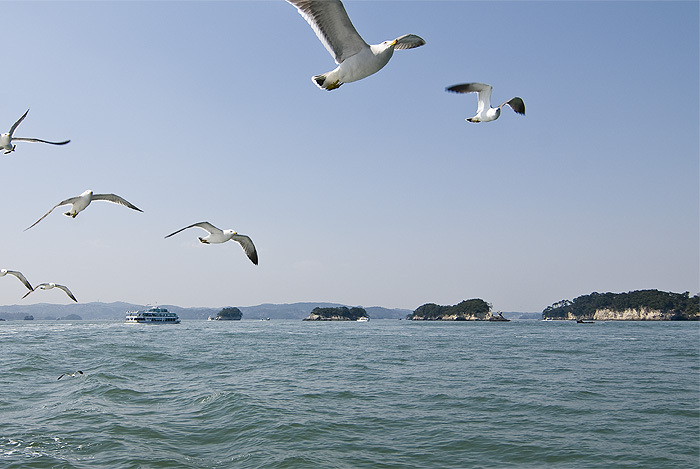 I'm sure Matsushima was once an island paradise, but these days it seems to be more of a seagull feeding zone. Uncountable numbers of ferries leave the docks regularly to take waiting lines of visitors out on whirlwind tours of the islands, and although the purpose of the tour is supposedly to gaze upon the rugged, pine tree covered archipelago, most of the people seem to be much more interested in feeding the gulls little shrimp flavoured crackers. 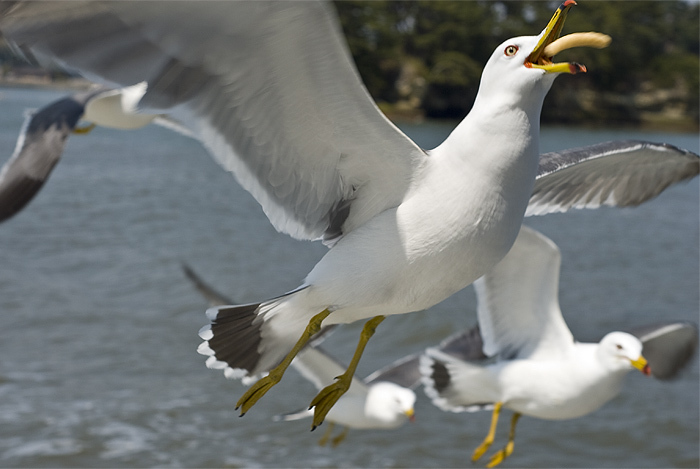 Over time the seagulls have become experts at eating crackers on the wing, with very few snackies mananging to fall all the way to the water below. 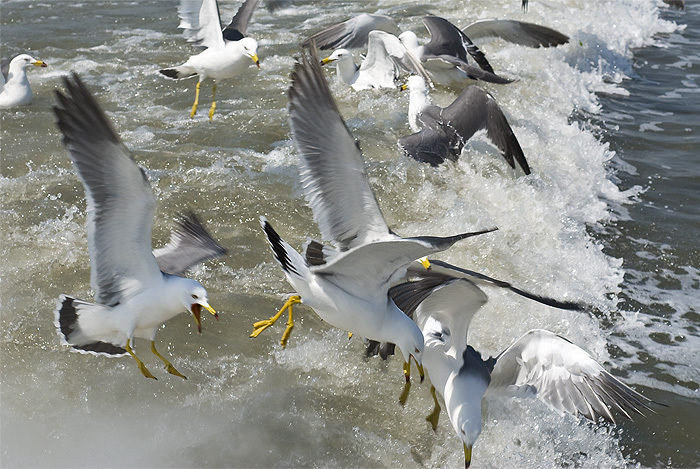 The gulls fought viciously over the few pieces that did slip by though, nose diving into the waves, and sometimes stabbing each other with their beaks in their efforts to reach the salty (and pretty tasty actually) treats. I have to admit, watching (and photographing) the gulls' antics was much more interesting than the supposed view the islands had to offer. 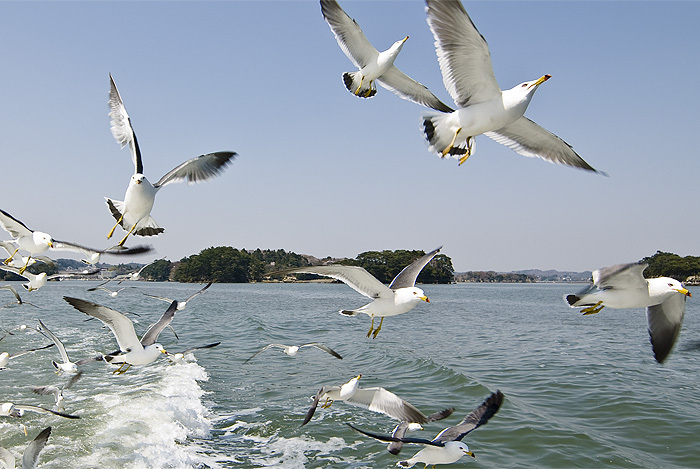 Each ferry, and there are a lot of them, has its own horde of attendant gulls. I'm not sure about the others, but our gulls followed behind us on the whole 40 minute journey, and never seemed to tire. Matsushima has four recommended view points known as: the Magnificent View, the Enchanting View, The Beautiful View and the Grand View (I'm not making this up) but we only had time for the ferry ride, lunch and a bit of walking around the closest island which is connected by a long bridge and which (naturally) you have to pay to cross. Here we are looking back at the hotel and concrete encrusted mainland from Fukuura island. 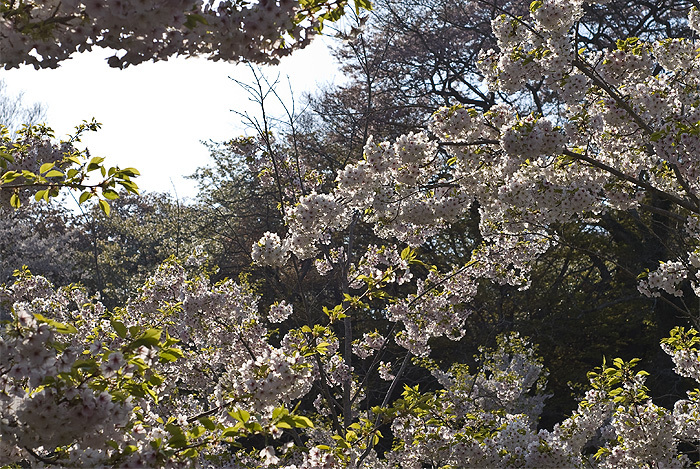 As luck would have it, the weather was sunny and warm, and not only that, seeing how Matsushima is north of Tokyo, the cherry blossoms were in full bloom. It's like having spring come twice in one year! Boats rush around the water.